You know, if I heard some gun maker talking about how they were working on railguns, I would probably laugh and move on about my business. When the U.S. military tells you it’s working on something as far-fetched as a railgun, it’s hard to ignore it, because the military and its various research arms, and its contractors have a long history of taking the improbable and bringing it to fruition. 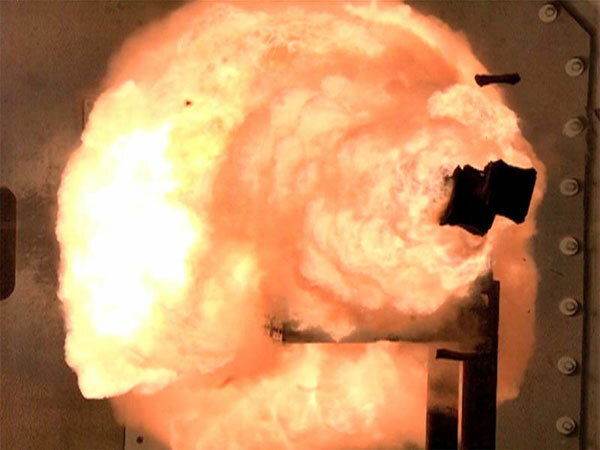 The railgun that I talked about a while back is a perfect example, this weapon is literally straight out of a video game, yet the military has made it real. That is one the coolest videos I’ve seen from the military in a long time. I can only imagine how far an aerodynamic projectile would have traveled and the speeds it would’ve reached. The Navy plans to eventually fire an aerodynamic projectile from the weapon, with a goal distance of 220 nautical miles. You certainly would not want to be on the receiving end of that.